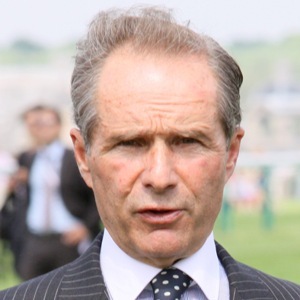 Andre Fabre’s exceptional record rivals any trainer in the world. A qualified lawyer and the son of a diplomat, he is married to Elisabeth, who was France’s first female jump jockey. He won more than 250 races as a jump jockey himself, including the Grand Steeplechase de Paris in 1977, and started training jumpers the same year with great success, following the death of his boss Andre Adele. Fabre’s first high-profile Flat horse, Al Nasr, was one of his initial three yearlings and won five Group races in 1981 and 1982. By 1983 he had switched solely to the Flat and, since then, has been champion trainer in France 27 times. He was crowned champ every year between 1987 and 2007. He has a string of big-race wins to his name, including seven Prix de l’Arc de Triomphes (Trempolino 1987, Subotica 1992, Carnegie 1994, Peintre Celebre 1997, Sagamix 1998, Hurricane Run 2005 and Rail Link 2006). The Investec Derby was one of very few major European races to have eluded Fabre, but he gained his victory in the Classic, a key race in the QIPCO British Champions Series Middle Distance category, with Pour Moi in 2011. He has now also won all the other British Classics – the Oaks (1993 Intrepidity), 2000 Guineas (1993 Zafonic and 1995 Pennekamp), St Leger (1991 Toulon) and 1000 Guineas (2014 Miss France). He won three consecutive Investec Coronation Cups at Epsom with Apple Tree (1994), Sunshack (1995) and Swain (1996), having earlier won the Group 1 race with Saint Estephe (1986) and In The Wings (1990). A sixth Coronation Cup success came his way with Shirocco in 2006. Stateside, the victory of Shirocco in the 2005 Breeders’ Cup Turf cemented Fabre’s position as one of the most successful European trainer in Breeders’ Cup history, with four victories and numerous places. In 2013 he star was Intello, winner of the Prix du Jockey Club (French Derby) and third in the Arc. He also tasted Group 1 glory with Flintshire and Romantica. He started 2014 brilliantly, collecting a full-house of British Classics when Miss France won the QIPCO 1000 Guineas. Next he saddled Flintshire for second place in the Investec Coronation Cup. In 2008, Fabre sold one of his yards to Sheikh Mohammed and is Godolphin’s French trainer. The formidable partnership almost came to fruition in the 2015 QIPCO 2000 Guineas as Territories finished second behind Gleneagles in the first Classic of the season. The 2015 season also saw him enjoy a first success in the Kingdom of Bahrain Sun Chariot Stakes courtesy of the filly Esoterique.